Flash Sale At The Chessington Azteca Hotel! This sale has now ended. Please click here to see more roarsome deals! Save £60 and experience our Azteca Treasure & Summit themed rooms for the ultimate Chessington World of Adventures Resort adventure - stay on selected dates before the 30th June 2017. Due to an incredible response, our flash sale has been extended and will now end midday on 19th May 2017*. Are you a family of explorers? Then this is the perfect expedition for you! Book a short break at the Chessington Azteca Hotel and you'll be fully immersed in the mysteries hidden within the temple ruins. Will you choose to rest your head surrounded by fortune and wealth in the Treasure room, or take a quest to the Summit room? Either way, you'll be setting out on an unforgettable short break! All official short breaks include 2 Days For 1 tickets! You'll get to experience the full range of fun-filled family rides and attractions, including venturing through the deep, dark wood on The Gruffalo River Ride Adventure, new for 2017, or release your inner Tarzan with Go Ape's Tree Top Adventure and Tree Top Junior challenges** (not included in package). Plus, be at one with nature and explore the Chessington Zoo, with over 1,000 animals to see! After a full day enjoying everything the Resort has to offer, settle down in a room full of treasures and gold. Then take an evening dip in the Savannah splash pool to unwind, all included with your short break! After a full day enjoying everything the Resort has to offer, settle down in a room full of treasures and gold, with hidden gems around every corner. As the sun starts to set, take an evening dip in the Savannah splash pool to unwind, all included with your short break. Journey to the heights of the Azteca Hotel with the Summit room, then unravel the mysteries within the temple ruins. Also includes complimentary access to the Savannah splash pool. Journey to the heights of the Azteca Hotel with the Summit room - the perfect way to unravel the mysteries within the temple ruins. Also includes complimentary access to the Savannah splash pool. Terms and conditions apply. Offer is subject to change and availability. 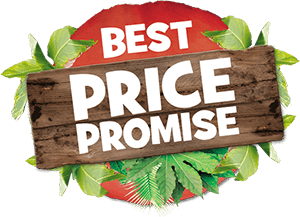 *Save £60 on 2 adults and 2 children sharing a Treasure or Summit room at the Azteca hotel on selected dates up to the 30th June 2017 when you book your stay before midday 19th May 2017. Only available on Temple Treasure and Temple Summit rooms at the Chessington Azteca Hotel. Offer excludes Discovery Rooms and 'Stay and Play - with The Gruffalo' packages. 2nd Day FREE is a park entry day and must be taken on consecutive stay dates with a hotel stay in the middle. Breakfast is included with all packages unless otherwise stated at the time of booking. Lead price of £70pp is based on two adults and two children sharing a room at the Azteca Hotel. **Go Ape's Tree Top Adventure and Tree Top Junior challenges are add-on products, requiring an additional fee. This can be added at the end of the booking process. For full Go Ape terms and conditions, please click here. ***Early Ride Time is available between 19th March 2017 to 31st October 2017 when you stay in the Azteca or Safari Hotel. Wristbands will be issued on arrival at Reception and must be worn to receive this benefit. Rides are subject to availability and the rides available can differ. Rides available will be confirmed by Reception. Height and weight restrictions apply, please click here for full terms and conditions. ****Guests must pre-book their Savannah splash pool time slot in the week prior to their stay. Access is subject to availability and issued on a first come first serve basis. Towels are available to hire for £2 per towel in the leisure club.